Want to enjoy exceptionally aromatic, great tasting coffee and skip the coffee house prices? 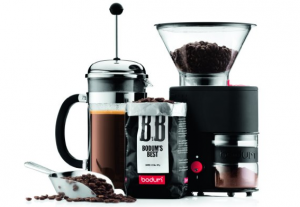 Now you can with an electric burr grinder. The burr grinding mechanism ensures uniform grounds, releasing the maximum flavor and aroma from your favorite whole coffee beans. So order yours and experience the freshest, most flavorful coffee. Finally, an elegantly styled, automatic coffee mill that will allow you to experience a new level of taste. 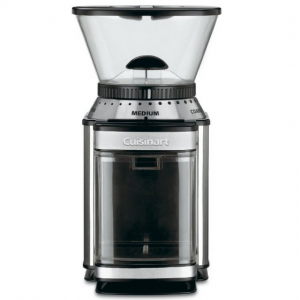 The Cuisinart DBM-8 Supreme Grind Automatic Burr Mill comes equipped with a heavy-duty motor and offers 18 grind settings ranging from fine to extra-coarse. 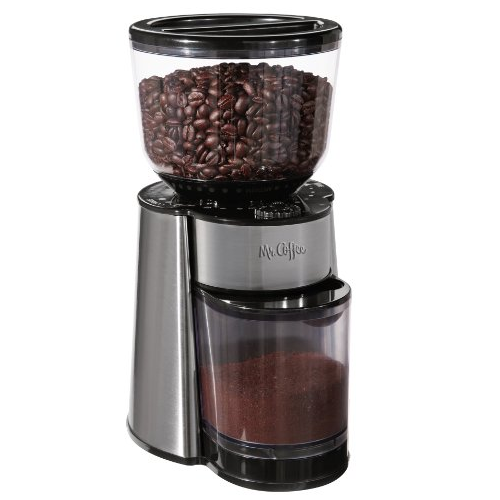 With the touch of a button, you can simply select a grind setting and number of cups. The electric timer automatically shuts off unit when grind cycle is complete. Also includes convenient cord storage. Now you can enjoy great tasting coffee right in your own house with the Mr. Coffee Automatic Burr Mill Grinder. This unit has 18 custom grind settings and produces a more uniform grind for the optimal flavor from your favorite whole coffee beans. There are 2 bins, one for the beans and one to catch the grounds. It holds up to 1/2 pound of coffee beans. Great for those who want a better cup of coffee but don’t want to break the bank. For a nice burr coffee grinder without spending a fortune, looks no further. 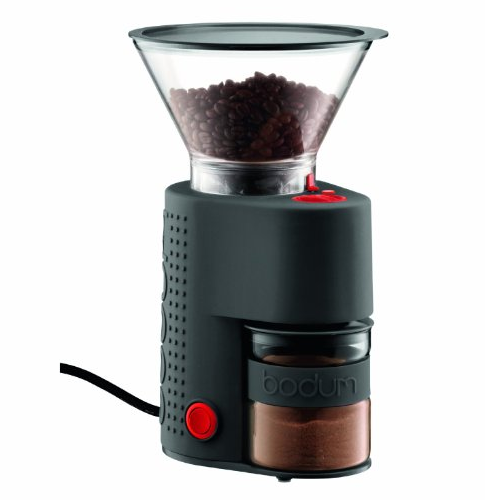 The Bodum Bistro Electric Burr Coffee Grinder is continuously adjustable with over 14 grind settings from coarse to fine. It features borosilicate glass catcher to reduce static that causes jumping coffee grounds. Thanks to the timed grinding feature and quick grind button, you can set the exactly the amount of time you need to grind the proper amount of coffee. An ideal way to grind coffee. 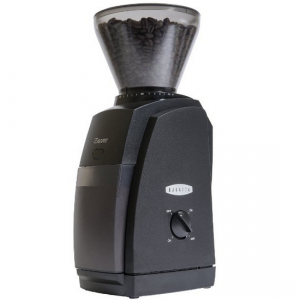 Get maximum aroma and flavor retention every time with the Capresso Infinity Burr Grinder. 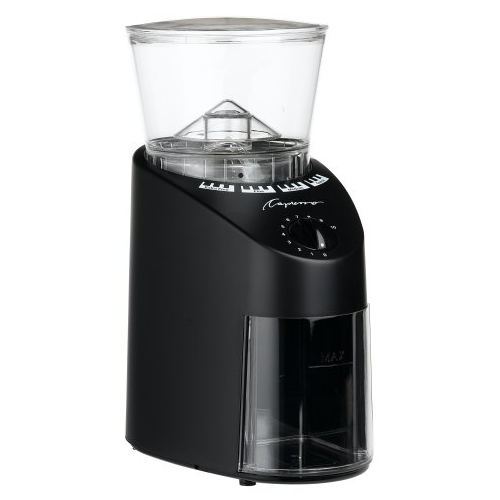 This 100-watt conical burr grinder with 16 grind settings offers extremely wide range from Turkish fine to coarse for all kinds of coffee preparation. The commercial grade solid conical steel burrs with advanced cutting design ensures high precision grinding. The bean container holds 8-1/2 ounces and the grounds container holds 4 ounces. Also comes with a timer which can be set to grind from 5 to 60 seconds. Includes cleaning brush and measuring scoop. For those brewing coffee at home, the Baratza Encore Conical Burr Coffee Grinder is a great way to achieve maximum freshness. The unit offers 40 individual grind settings, from fine to coarse, to please any palate. Its powerful, high torque DC motor keeps your beans cool. And the combination of electric and gear speed reducers slow the burr to 450 RPM for a smooth bean feed and reduced noise, heat and static buildup. A great all around home grinder.